Sherry Bennett is a dedicated, results driven business leader. 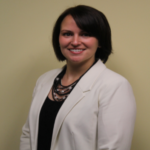 She most recently held the position of Factory Director for True Value Manufacturing located in Cary, Illinois. In her role, she was responsible for leading all manufacturing activities and facility operations, product distribution and inventory management. The Cary location is True Value Company’s only manufacturing plant, and is among the largest single-site consumer paint manufacturing plants in North America. Products are manufactured for 4,000 True Value stores and distributed to all 50 states and 28 foreign countries consisting of over 1,000 items of house paints and stains, aerosol spray paints, paint applicator products, as well household cleaning products. Sherry earned her BS in Industrial and Manufacturing Engineering from Penn State University, and holds her Lean Six Sigma Black Belt certification. Prior to her work with True Value, she was a project manager and trainer for continuous improvement methods at United Airlines. She has additional continuous improvement, lean manufacturing and project management experience from her work at Black & Decker as Quality Manager in Tampa, Florida. Giving back to the community is something Sherry enjoys. As an active member of the United Way of Greater McHenry County Board of Directors since 2014 and co-chair of the Agency Relations Committee of the United Way, Sherry supports strengthening the community. Being a graduate of the LGMC Class of 2014, Sherry is committed to being actively engaged in and serving her community. Sherry is a Board of Trustees member of LGMC and is active on the Development Committee. She enjoys encouraging and influencing others in supporting the needs of the community and personally giving back with her own time. Sherry and her husband, Jon, live in Crystal Lake, Illinois with their two young children, Nathan and Maggie.